House Clearing, Smudging and Sage. Unless you've had the experience, the following points on house clearing may be difficult to accept. I have described them right upfront as many people who contact us often begin with...you're going to think I'm crazy but...or words to that effect. Rest assured, it's unlikely we will think you're crazy because we've heard it all before. 1) Ghosts; haunted houses; poltergeist; demons; gremlins; discarnate spirits; ghouls; apparitions; possession; lost souls; ectoplasm; entities; falling or flying objects; spontaneous combustion; inappropriate physical touching; electrical disturbances; voices; hearing footsteps; putrid odours...whatever your interpretation or belief, this type of phenomena is reported by sane, intelligent, people. 2) External forces can and do affect people, their homes and animals. Indeed, they can at times threaten the safety of a person. The associated energy can be strong enough to ignite a candle or move a refrigerator across the kitchen floor. So we treat this type of work very seriously. 3) The house may not be the problem. It's dangerous to make assumptions, and our approach is that everything is energy taking a particular form for a particular reason. Most of the time it can be dealt with. However, it can be complex and we must first determine what we are dealing with before taking appropriate action. 4) Despite what you may have been told, or the methods used by others, it is possible for us to deal with these phenomena wherever they occur on this planet, wherever you are in the world. We do not have to physically visit your home. There are many reasons why the family home can be affected by misguided energies and other forces, thereby needing a house clearing. And there are just as many reasons why smudging with white sage is not always the answer. Arguments, violence, drug use, and even teenage angst, are just some precursors to a build-up of negative energy within the home by the current occupants. Perhaps the negative energies were present before the property was purchased or tenanted. It's possible the house may have been built in an area that is significant to the traditional custodians of the land and is creating an imbalance in the surrounding energy field. It's also possible that violence and trauma from hundreds of years in the past can still be affecting the area today. Complicating things even further, our lives and property can be impacted by energy portals and vortexes, as well as the placement of buildings across Ley Lines. All theses scenarios can lead to energy imbalances perceptible to the resident and need a house clearing. Sometimes the impact is very significant and far reaching, affecting not only the family members, but also pets, livestock and even machinery. The productivity of rural land can also be affected. I add this note because we have in the past dealt with all these aspects at some time or another. But the following info is predominantly about general, residential house clearing as this is the most common request. Just know that if you have found your way to this page, and you have large scale property or feel the issues affecting you are complex, I'm sure we can help in some way, wherever you are in the world. 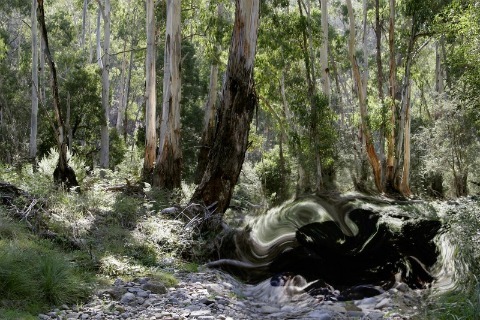 This image is an impression of what I perceive when viewing an energy disturbance in the land. The traditional custodians of the land may also be affected by the imbalance. Of course not every home is affected, and most people are blissfully unaware of the past history of their home and the energy attached to it. However, there are some lucky few that get to experience weird occurrences or feelings, in and around their residence. The most common call we receive is from people who have recently moved into a different property and begin to perceive strange occurrences or their children are "seeing" things. On investigation, we often find that some members of the family are sensitive to energies and always will be. We can often trace this ability back along an ancestral line. Previous owners or tenants without the same ability have been unaware of any existing imbalances in the energy of the property. So this individual aspect of being sensitive can complicate things. Then there are the occupants who have their own existing, attached interferences or entities. Moving into the environment and energies of a different home may aggravate or trigger some reaction in the personal imbalance. This reaction is then blamed on the nasty entities residing in their new domain. This again complicates the situation and certainly dictates our course of action. So disturbing energy in or around the home needs to be dealt with, but there may also be a need for individual healing sessions. We are often contacted by concerned parents because their child is being frightened by some strange experiences. Children and family members can be affected by attached entities at any time. In fact some children have a real talent for attracting unwanted energies. As previously mentioned, occasionally pre-existing, attached interferences find the environment or energy imbalance in a new home ripe for exploitation. When the environment is right, those attached energies can create chaos in the family home. This is an aspect some parents have difficulty understanding at times. We are regularly contacted by people asking us to visit their home to investigate what may be impacting their family. Again, I have to say we do not need to visit you in person. This seems to be the greatest challenge for most people. We work with clients around the world, and we use the same techniques of distant healing to deal with any energies affecting your property or family. Working together, Chris and I use a combination of remote viewing and consultation with our Guides to gain an understanding of what is happening. How we proceed from there depends on the level of consciousness, or intelligence, of the energies we are dealing with. If it's simply a build-up of emotional energy, then smudging by the home owner may be all that's needed. If it's demonic type energy, then this requires a different approach, but it can still be done remotely. We do it on a regular basis. First step is a remote viewing. The first step is to find out what energy or entities are affecting the property. For us, this is a fairly simple process, but it does take time and carry some risk to us, so we charge a report fee. Once we have established what we are dealing with, we can take the appropriate action toward clearing the house. There are too many scenarios to describe here, but it is possible to clear negative energies and inter-dimensional entities from the family home or land, just as we would with a person. As previously described, house clearing can be done anywhere in the world. You may be interested in an example of how a house or property clearing can be complex. Putting aside any dramatic occurrences, if you're simply not happy with the "feel" of your home, it may just need a good clean out on the energetic level. Just about everyone you speak to will have an opinion on what to do about house clearing, especially if they are trying to sell you something. Incantations, crystals, incense, salt, bells, rituals and all sorts of paraphernalia may be recommended. 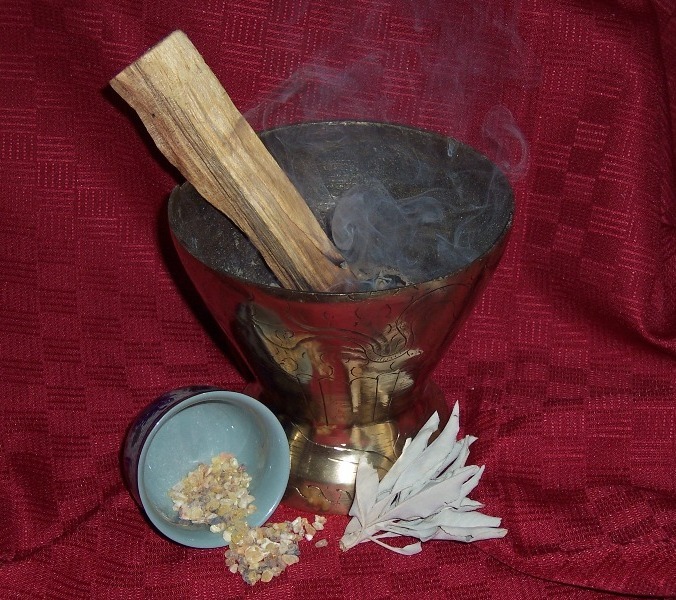 In my experience for simple house clearing, good results can be achieved by smudging with White Sage (salvia apiana). It can be purchased from your nearest new age or crystal shop for a total cost of $20 or less. Here in Australia, even some health food stores will stock the sacred herb. A simple guide to house clearing and smudging can be downloaded as DIY House Clearing. 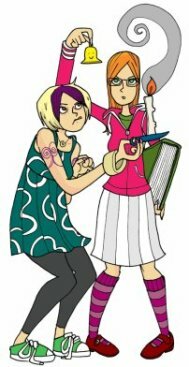 You may also consider our comprehensive guide to protection, the eBook Energy Protection for Muggles, which contains more detailed information and other techniques. Tools of the trade are white sage, frankincense and palo santo wood. When dealing with demonic energies, I incorporate the palo santo wood. So what can you do when things go bump in the night? This really depends on the impact you are experiencing and what you are dealing with. As I have listed right at the beginning, some people get to experience very significant phenomena. 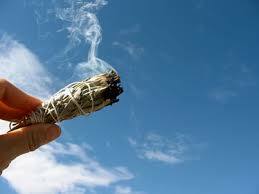 Before contacting us you could always try smudging for yourself. Get yourself some dried white sage, the sacred herb salvia apiana, and smoke out every room and corner of the house. You do not need the imitation eagle feather. Open all doors and windows while you do this. Depending on who is living in the house, and what they are bringing home, you may need to smudge every few weeks. Trust me when I say...if this does not make a difference, then it's likely you are dealing with some other significant misguided energy, interference or human spirit that needs help. Smudging Sage comes in the loose leaf form or as a smudge stick of various sizes, available from new age shops and even some health food stores in Australia. A detailed description of house clearing and smudging can be found on our download page. Do not be trapped into buying all the extra paraphernalia that may be offered. A plate or garden pot held under the sage is a good idea to catch any falling embers as you smudge your home. So if you are not happy with the feel of your home, or you are experiencing some difficulty selling or renting a property, it may need some simple, house clearing. If smudging has no effect, or you are experiencing some jaw dropping events, contact Mark. 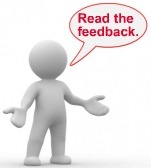 We can have a look to see what you are dealing with and make recommendations. This can be done wherever you live in the world. Because this does take time, and to eliminate frivolous requests, we need to charge a small upfront fee for this service. From this initial report, we will know whether we can help you and make recommendations. The report fee will be credited to the final costs should you accept our recommended service. As well as general house clearing, we also offer a pre-purchase inspection for any potential purchase of a home or land. This review of the property can give an indication of any aspects possibly affecting the property. These include any existing energy imbalances within the home; nearby portals or vortexes; impact from ley lines; and even significant nature spirits or energies. Most imbalances can be dealt with, but there are scenarios when the best option is to walk away and leave the land in the care of mother nature. Tired farmland or impact by unknown toxins can be a point in question. Remember, just as in clearing a home, we can inspect a property on the energetic level, anywhere in the world. Special Note: In cases of significant interference, the effect of that interference may increase once you make a commitment to clear your home. Some energies will increase their activity, either to put you off or as a last act of malevolence. This is something you need to be aware of, especially if any members of the family are being frightened. If this is the case, we have to consider what extra measures are needed to keep everyone safe. But before you call us, have a go at smudging for yourself. You can download a copy of detailed instructions with other suggestions for clearing your home, from our download page. If you still have further questions in regards to house clearing, or want to go ahead and arrange an inspection of your property, contact Mark. We are constantly asked questions about house clearing and protection from psychic attack. 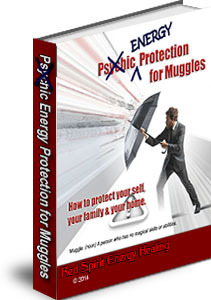 In response to these common questions, we have collated our various techniques for clearing & protection into one eBook, Energy Protection for Muggles. We cover everything from clearing the family home to personal protection on multiple layers, basically from the ground up. These are techniques that can be applied to yourself, family members and even your home for a holistic approach to energy protection on a daily basis. 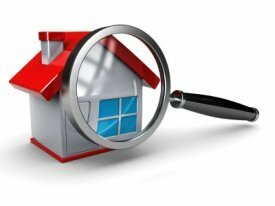 Article: How a house or property clearing can be complex. Property Report: There are many reasons why people experience unwanted activity around their home. The first step is to find out what energy or entities are affecting a property. Once we establish what we are dealing with, we can take the appropriate action toward clearing it. Contact Mark to arrange an inspection. This simple DIY guide describes a number of ways to clear your home of unwanted energies. Well, it has been a couple of weeks since you did the house/land clearing and I wanted to give you some feedback. I have noticed quite a difference in the house. It has a much lighter feel to it as does the whole adjoining field. I no longer feel terrified in this house and that is very significant for me. It doesn't feel so heavy and pressing and just downright threatening. The whole vibe of the place seems different in a good way. My two dogs seem more relaxed too. I sense that the feel of the house will continue to ease up over time and there will continue to be more changes on a subtle level. All in all, I am very pleased with the results of the work that you did. And, I am impressed by the power of the work itself. I am very grateful to you for your assistance in this way. Thank you so much!